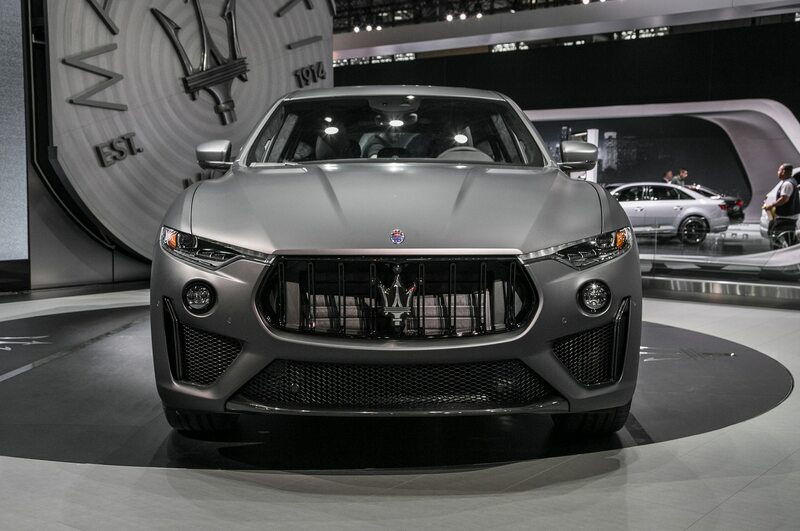 Hot on the heels of the thunderous 2019 Jaguar F-Pace SVR, Maserati arrives in New York with a muscly performance SUV of its own. 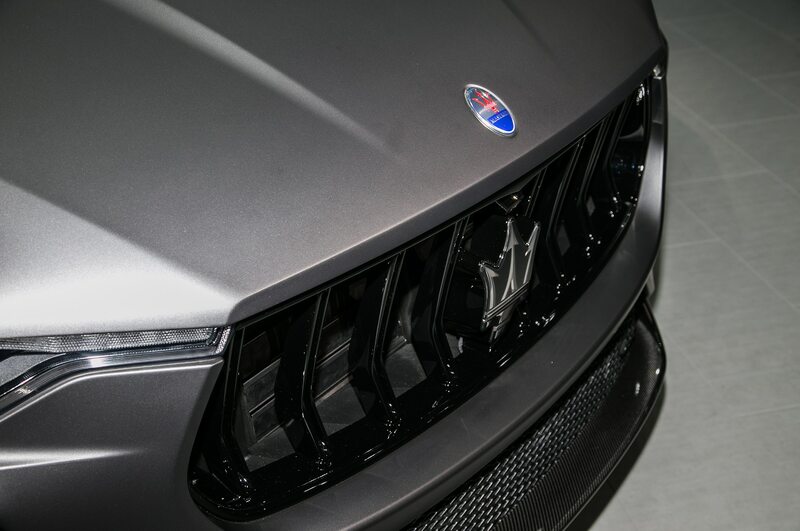 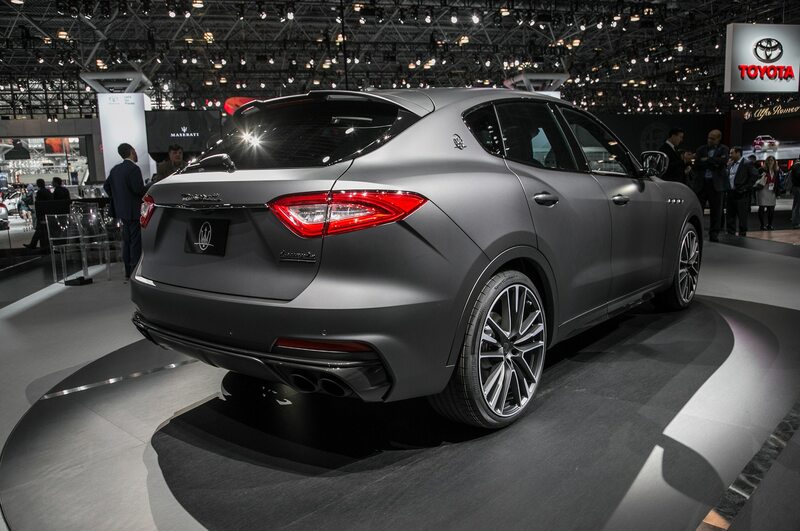 Meet the 2019 Maserati Levante Trofeo, one of the quickest cars to ever wear the trident. 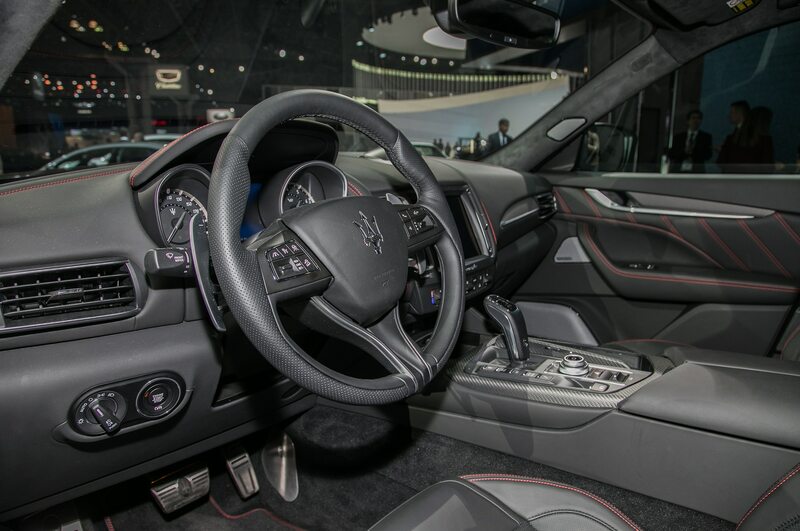 Gone is the Levante’s regular 3.0-liter V-6, supplanted by a Ferrari-assembled 3.8-liter twin-turbo V-8 plucked from the Maserati Quattroporte GTS. 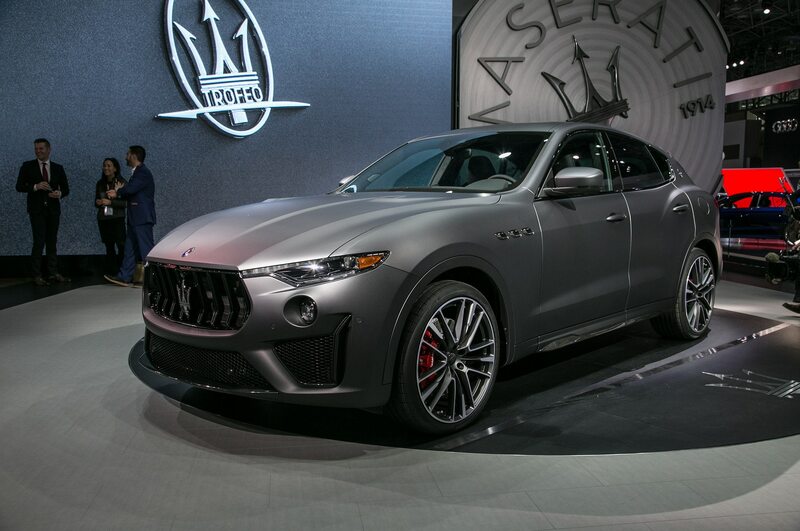 It isn’t copy-and-paste from the QP, however—in the Trofeo, the engine is significantly modified to get along with the Levante’s all-wheel-drive system. 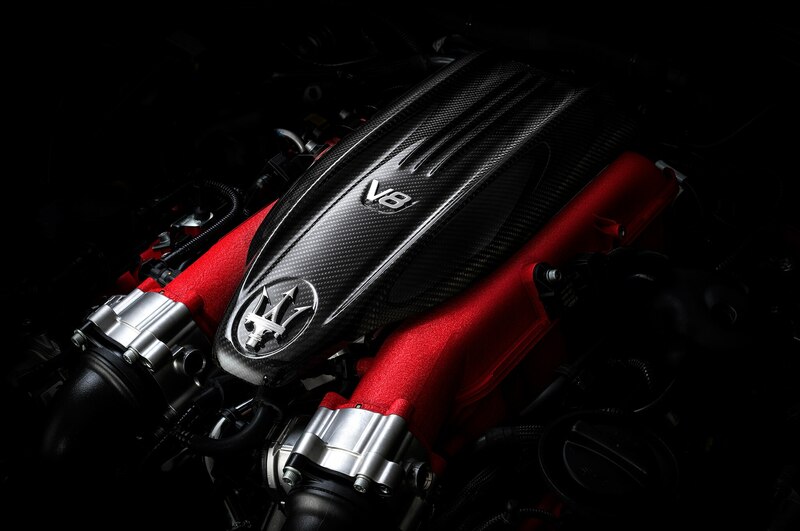 Aside from the 67 hp and 14 lb-ft bump over the QP GTS, the Trofeo’s heart wears a new crankcase design, upgraded turbochargers, cylinder heads, oil pump, and auxiliary belt, among other things. 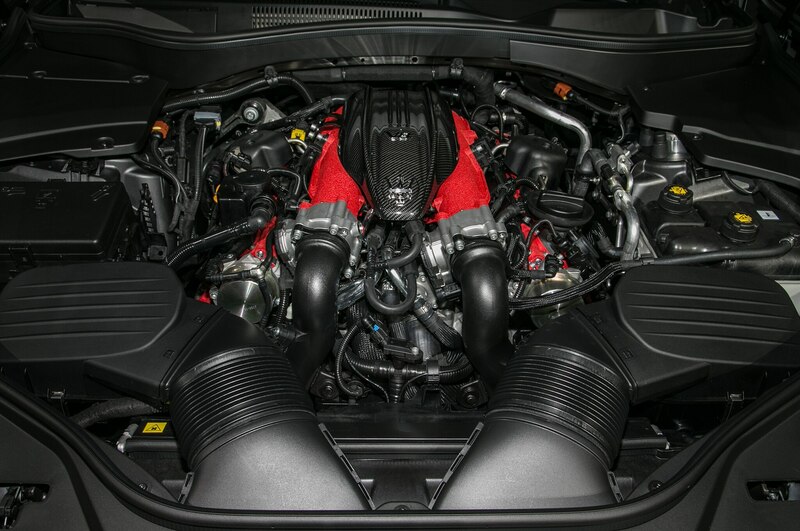 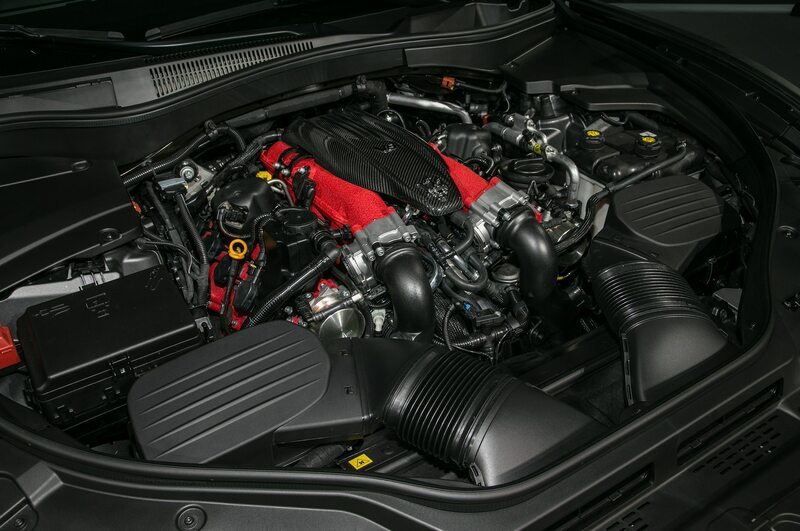 With two extra cylinders, the Trofeo packs an impressive 590 hp and 538 lb-ft of torque, sent to all-four-wheels through the tried-and-true ZF eight-speed automatic transmission. 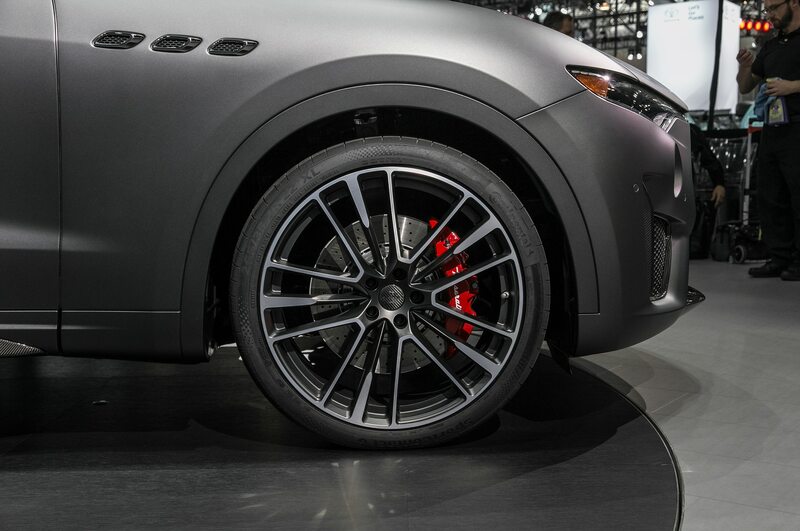 Maserati claims the 60 mph sprint is handled in 3.7 seconds, hustling its way to a top speed of 187 mph. 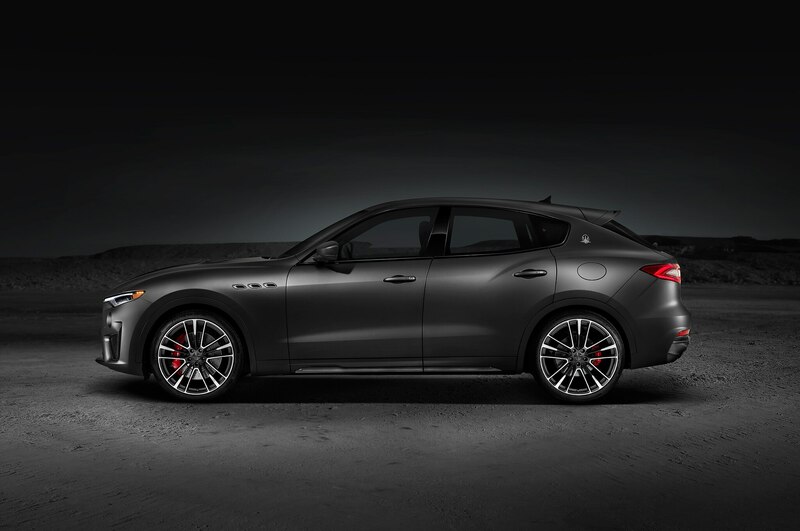 As expected, the Trofeo arrives with more go-fast goodies to handle the extra gumption. 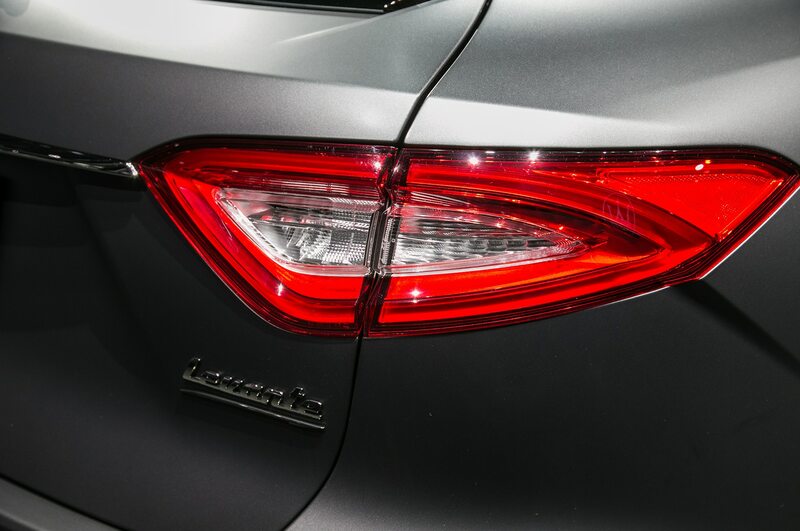 A new Corsa driving mode is exclusive to the Trofeo, offering launch control functionality and modifies the throttle, suspension, all-wheel-drive system, and transmission personality. 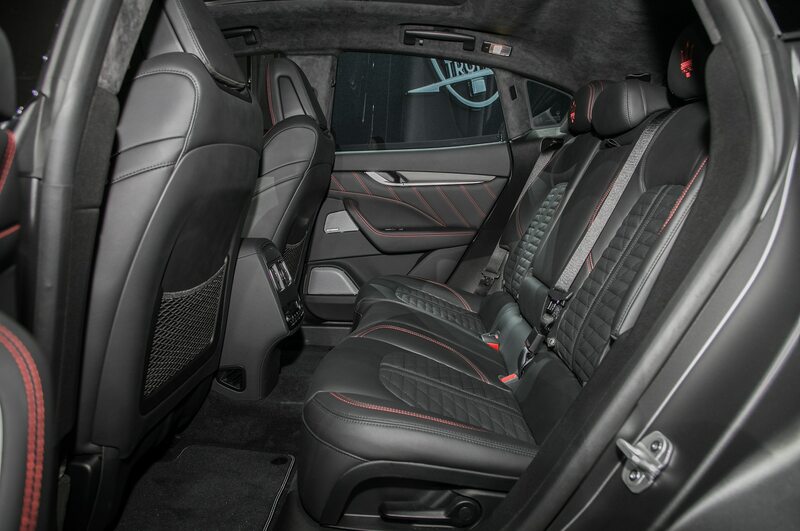 Once you leave the Mugello Circuit and head toward dinner, drivers will enjoy the upgraded interior replete with leather and carbon-fiber trim. 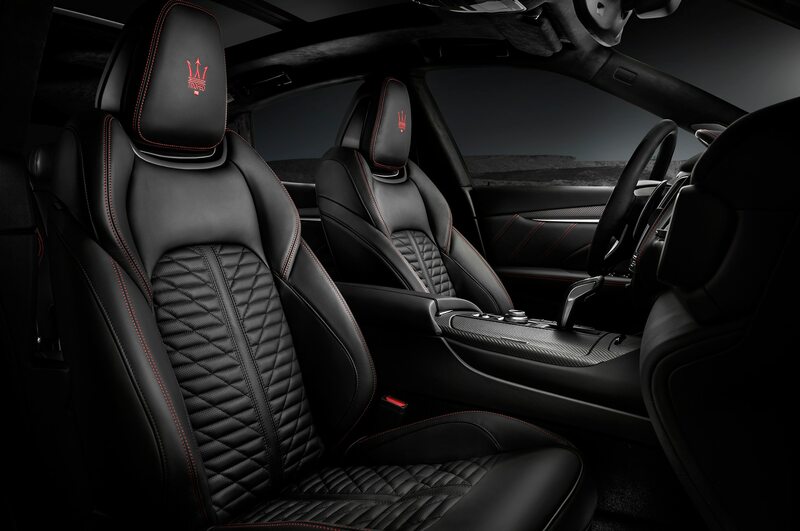 Each Trofeo packs special graphics for the instrument cluster, a revised gear selector, and unique trim. 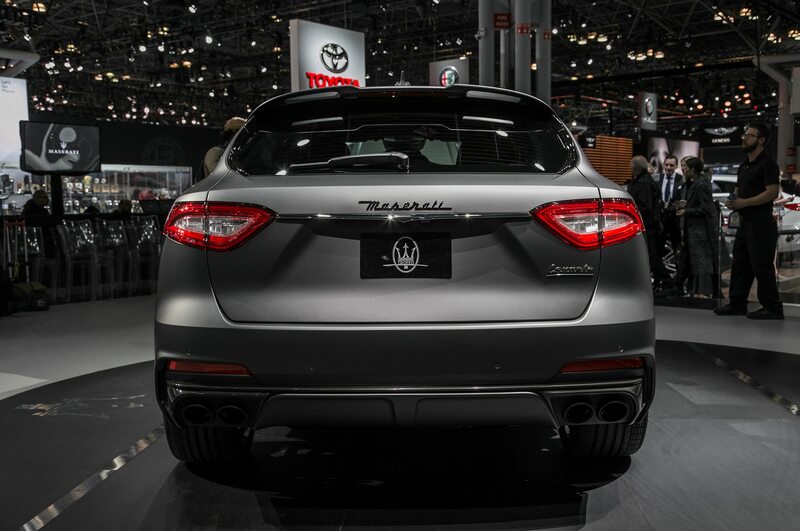 Make sure you get a table within view of the bistro’s valet lot, as the Trofeo adds visual flair to the subtle Levante. 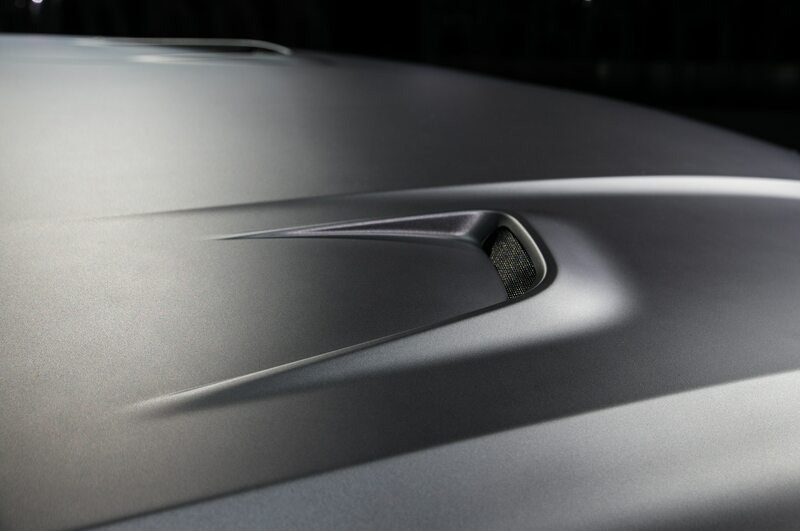 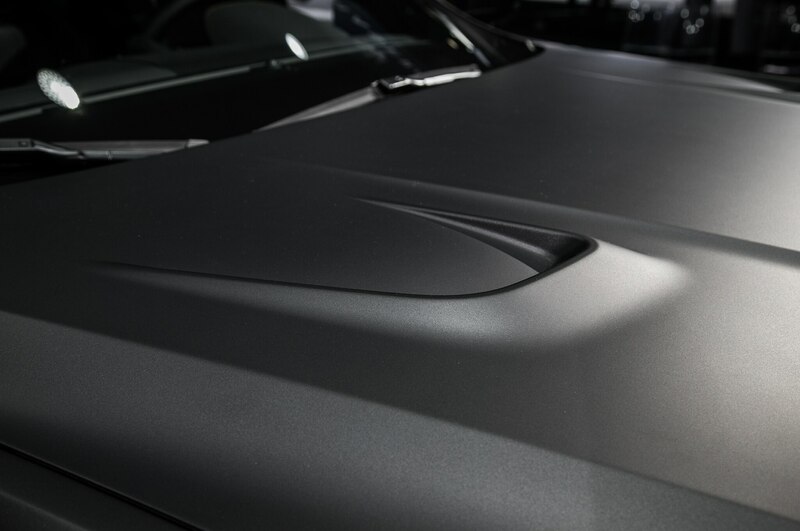 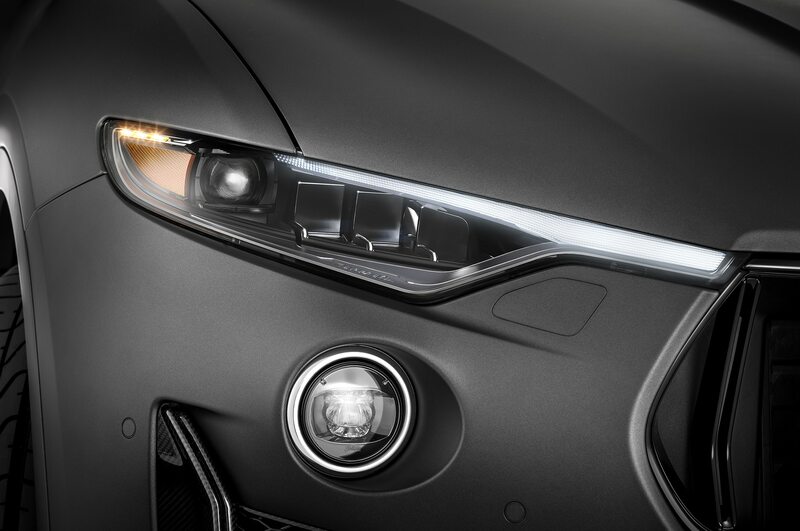 A new front fascia wears new LED headlights and updated grille, working with a new hood design with functional scoops. 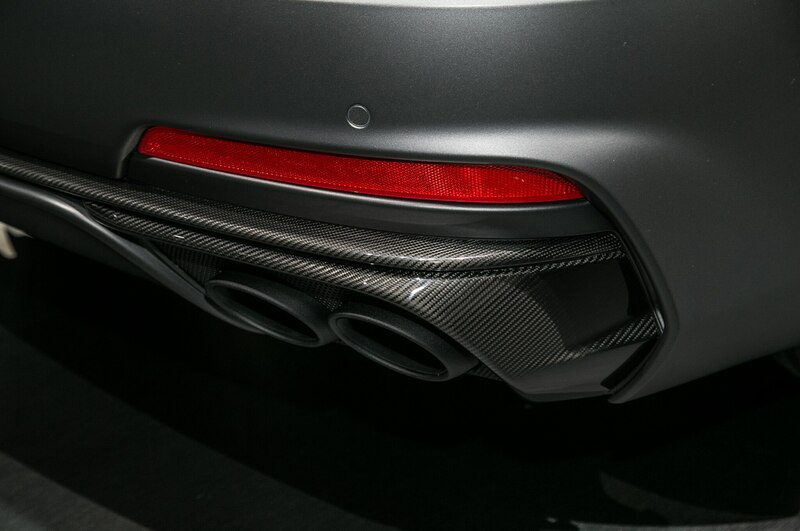 Around back, the rump is adorned with a hefty amount of carbon-fiber trim. 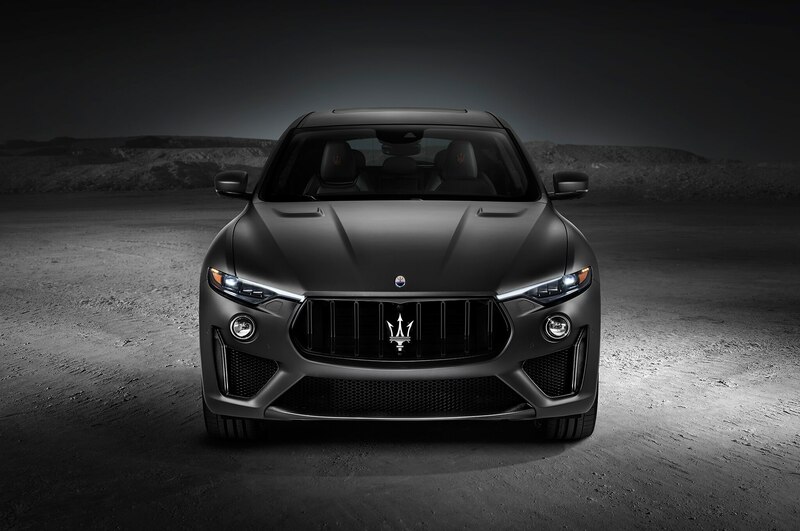 For customers located in the U.S. or Canada, Maserati offers a Levante Trofeo Launch Edition that adds package-exclusive design touches. 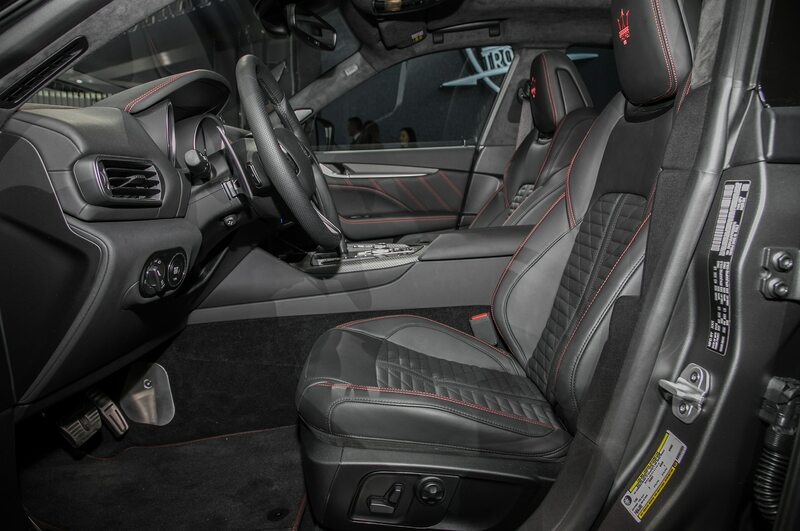 Included are black accents that darkens the exterior, along with the requisite serialized “Launch Edition” plaque on the center console. 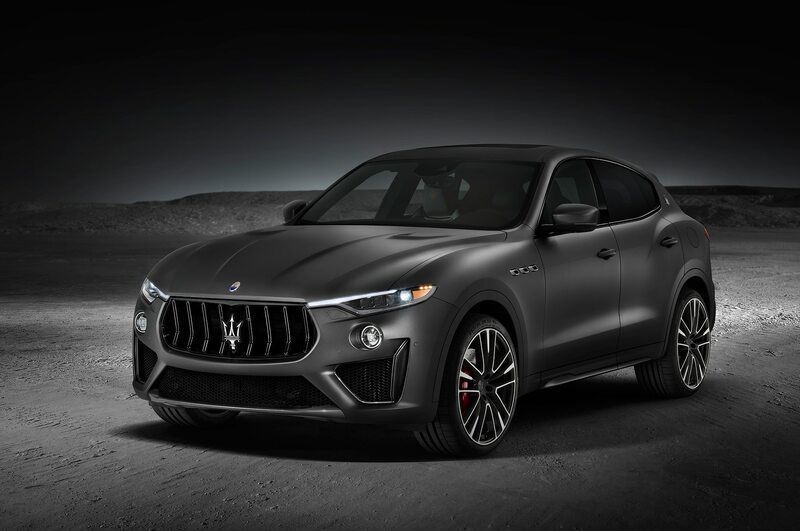 Look for the 2019 Maserati Levante Trofeo to hit dealer lots sometime after the summer. 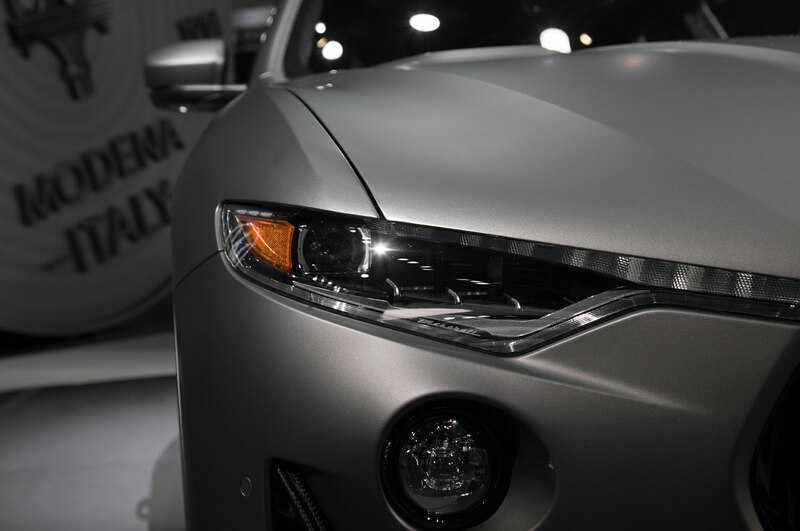 No word on pricing, but pad your account in preparation for a six-figure hit.